Mark is a seasoned regeneration specialist with a unique set of skills, a good working knowledge and a clear understanding of the way start-ups and growing small businesses work. Having successfully bought and sold his own portfolio of start-up retail, travel, sports training, healthcare and specialist online businesses, Mark became heavily involved in local business engagement activities with local councils in East London culminating in the establishment of a variety of local strategic partnerships between the public, voluntary and private sectors across East London. Taking a well earned break from his own entrepreneurial activities, Mark worked as a freelance business support consultant to a national welfare-to-work & business services provider, designing and delivering business engagement & partnership programmes across London and the Thames Gateway. Working closely with local authorities across London, regional development agencies and major property development companies including the London 2012 Olympic Legacy Company, a variety of private developers & social landlords, Mark undertook a variety of assignments to ensure closer working with existing local business communities on core engagement, supply chain development and start-up and growth programmes. 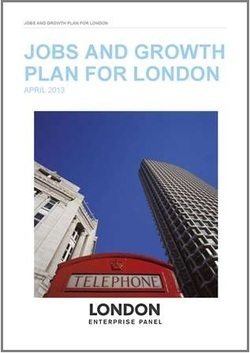 In 2007, Mark joined a local enterprise agency to grow this work further including a £10m pan-London ERDF funded consortia of Enterprise Agencies and to initiate and deliver one of London's two Central Government funded Local Enterprise Growth Initiative (LEGI) business support programmes. The £16m LEGI-funded enterprise programme proved successful from the outset and when government funded lapsed, Mark was instrumental in raising additional funding from local government to expand and grow an innovative business start-up and SME support programme. This culminated in the design, construction, tendering, launch and subsequent management of London's most successful business incubator & flexible workspace centresin outer the Outer Boroughs, the Barking Enterprise Centre (BEC). Mark's work as a social entrepreneur and as a 'Corporate Social Responsibility' professional led him to establish Enterprise4Good Group, an innovative Economic Development, Enterprise & Regeneration Agency where he successfully directs flexible workspace operations and a multi-borough business growth support service. Mark is a regular commentator for SMEs and local economic growth programmes and is regularly consulted by the media, local, regional and national business support policy makers and private companies, trusts and charities on small business engagement and corporate social responsibility matters. Mark is a passionate ambassador for enterprise and entrepreneurship, a widely respected advocate for business led regeneration and economic growth and a serial networker keen to share his extensive knowledge, experience and skills to bring innovation to like-minded clients to deliver cost effective strategic and operational success.